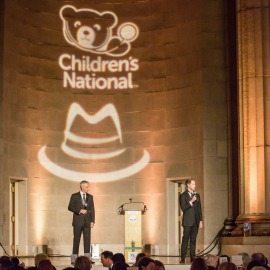 Guests are invited to a casino-themed gala Oct. 26 that benefits Children’s National Health System. The annual White Hat Gala’s “Casino Royale: Betting on Our Kids” has raised more than $1.5 million since its 2012 inception, and organizers hope to bring in another $400,000 this year. 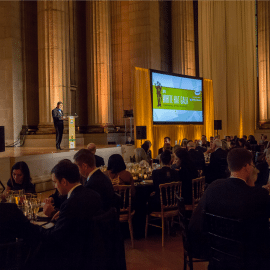 Held at the Andrew W. Mellon Auditorium from 6:30-11 p.m., the event provides networking opportunities for members of the cybersecurity community and technology companies, business and philanthropy. It is designed to support the research hospital in its advances in innovative therapies for treating pediatric disease. Children’s National is the only freestanding children’s hospital between Philadelphia and Atlanta. A range of sponsorship opportunities for the event are still available. The deadline for being included in the printed program is Oct. 9. To purchase tickets or inquire about sponsorships, contact Kelsey Presswood at kpresswood@childrensnational.org or call (301) 565-8532.